Anthony J. Enea, Chair of the New York State Bar Association’s Elder Law Section highlights the legal and financial risks associated with marrying later in life. Anthony J. Enea Esq., Chair of the New York State Bar Association's Elder Law Section and managing partner at Enea, Scanlan & Sirignano, LLP. Anthony J. Enea, Chair of the New York State Bar Association’s Elder Law Section and managing partner of White Plains law firm Enea, Scanlan and Sirignano, today addressed some of the legal and financial risks seniors may face when they choose to marry later in life. Enea warned that if a spouse does require long term care, as so often is the case, the financial consequences can be devastating. According to the U.S. Department of Health and Human Services, at least 70 percent of people over age 65 will require long-term care services at some point in their lives. According to New York state Medicaid eligibility laws, a spouse’s income will be counted and deemed available for Medicaid nursing home or home care benefit purposes and must be disclosed. After the asset transfer is complete, Enea explained that the well spouse must then executes a “spousal refusal” statement, indicating that he or she refuses to pay their husband or wife’s medical expenses. According to Enea, once the refusing spouse has executed the “spousal refusal” statement, he or she may still be liable to Medicaid for reimbursement of the amounts actually paid for the nursing home or home care costs. “While still a substantial sum, the reimbursement amount is significantly less -- often 40-60 percent less -- than most nursing homes’ private pay rate, which averages $13,000-15,000 per month in downstate New York,” said Enea. After an application filed with a spousal refusal has been approved, however, there are many post-eligibility planning opportunities that can be implemented to limit the refusing spouse’s exposure to Medicaid’s claims. Enea made the point that while the execution of a “spousal refusal” is often a logical option, it does not eliminate financial exposure altogether. Further complications may also arise from the transferring of assets when the Medicaid applicant has children from a prior marriage. In particular, there is no assurance that the healthy spouse in receipt of the assets will make any provisions for the ill spouse’s children in his or her testamentary plans. “Sadly, in some cases, these realizations lead to a discussion of possible divorce,” said Enea. Even in divorce, however, New York has laws in place that require a separated or divorced spouse to continue supporting a former husband or wife who has become a “public charge” or a victim of extreme hardship. About Anthony J. Enea, Esq. 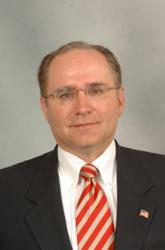 Anthony J. Enea, Esq. has practiced elder law in New York for over 25 years. He is managing partner of the firm of Enea, Scanlan & Sirignano, LLP with offices in White Plains and Somers, N.Y. Mr. Enea also serves as the Chair of the Elder Law Section of the New York State Bar Association.